The storm that came through DID deliver to some areas of the region. Specifically Beech saw 4″, Snowshoe saw 3″ (and is reporting Powder surface conditions, to boot! ), along with Wolf and Ober. The rest of the NC’s and WV’s did get a couple of inches, respectively. The larger story though is the gripping arctic air. 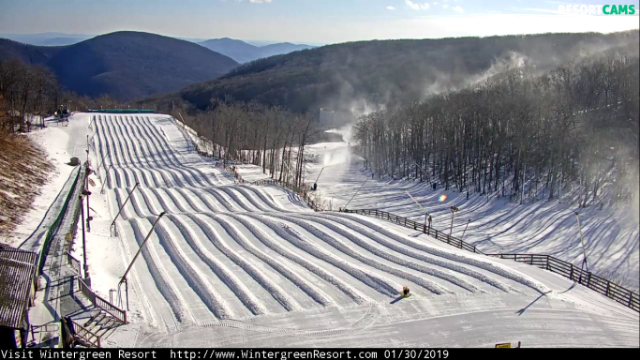 A quick look at the snow report shows that almost every resort was under 20° this morning. 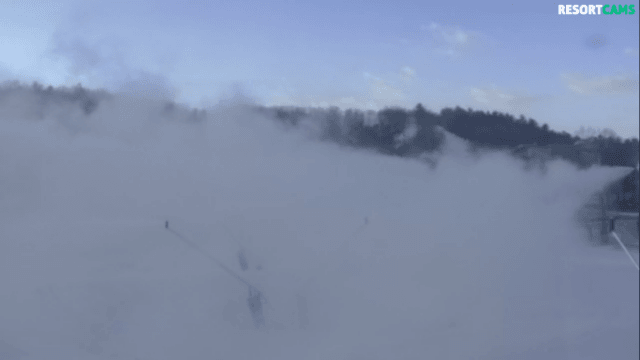 That’s cold, BUT ideal snowmaking weather. 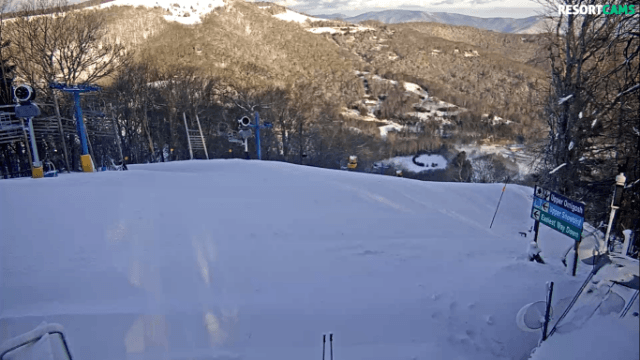 Many resorts are treating this cold seriously with ‘Hats and Gloves’ a requirement to access all lifts. But hey, many of these same resorts are offering deals on facemasks/toe/and handwarmers as well . . . might be good timing for a purchase! 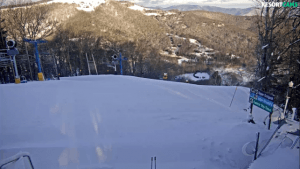 Beech Mountain: 4″ new snowfall (also 4″ at Sugar . . . thanks Angie!). Currently 8 degrees. Awaiting snowfall total . . . “We did receive a bit of natural snow yesterday”. 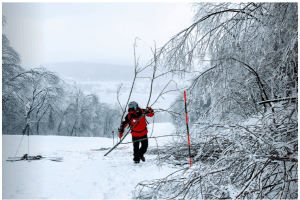 COULD be 2″ because base grew from 69-103″ to 71-105″. 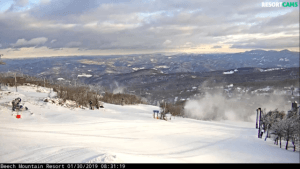 Canaan Valley: 1.7″ of new snow . 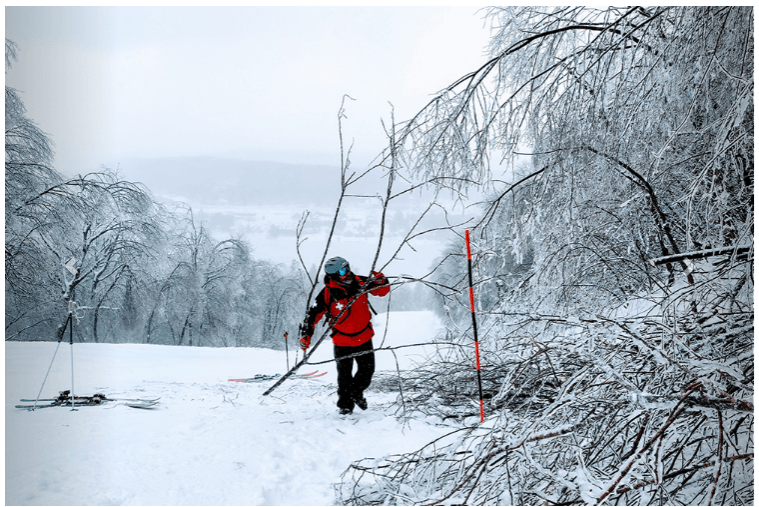 . . “A fresh coat of snow and cold polar temps have made our mountain a true winter wonderland”. 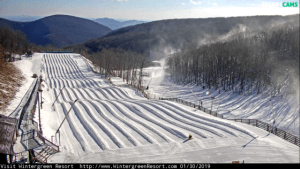 Winterplace: 1″ of new snow. Forecast: Partly sunny with some snow flurries. Bryce: 100% terrain open until 8:30pm on Wednesdays. Bryce: so cold it looks more like a fog machine than a snowgun! Outdoor enthusiast, skier, snowboarder and telemark skier. Yes, I like to mix it up. While at the University of Colorado, Boulder I became an alternate athlete on the National Championship Ski team. I have had a passion for snow sports my whole life, and that fire continues to burn bright. 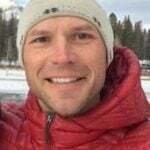 I spent six years as an instructor at Hidden Valley ski area and loved sharing the gift of skiing and snowboarding with others.Since moving to Western NC I average about 30 days per year at the local mountains and I'm excited about being a part of the SkiSoutheast team.